"Kind, patient, smart, and personable. I highly recommend him!" Dr. Jay J. Stein is a leading urologist providing state-of-the-art care for patients in the Beverly Grove, Cedars-Sinai and the greater Los Angeles areas. Certified by the American Board of Urology and a Fellow of the American College of Surgeons (F.A.C.S. 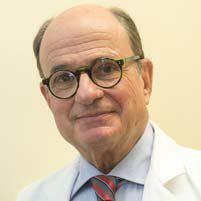 ), Dr. Stein has been in the private practice of urology since 1975, specializing in adult urological diseases and conditions including endourological stone surgery, male infertility including microsurgical vasectomy reversals, varicocelectomies, female and male urinary infections and female urinary incontinence. Since coming to Los Angeles in 1969, Dr. Stein has developed a deep personal commitment to the patients he serves, half of whom are female. His commitment to learning new techniques and incorporating state-of-the-art technology ensures that every patient gets the safest, most effective and most appropriate care at any age. Dr. Stein moved from his own state of South Carolina in 1969 to do his internship at Los Angeles County – U.S.C. Medical Center. After completing his Bachelor of Arts in Chemistry at the University of North Carolina, his medical degree at the Medical University of South Carolina, followed by a residency in general surgery at Cedars-Sinai Medical Center in Los Angeles and then a residency in Urology at the University of California at Irvine and Orange County Medical Center and Long Beach V.A. hospital, he also did a partial fellowship in pediatric urology at the Hospital for Sick Children in London, England. Dr. Stein’s interests are fly fishing, photography, worldwide travel, learning about interesting new cultures, a past history of eight marathons, food and wine. He especially enjoys spending time with his wife Carol, two children, Jennifer and Brent, their children's spouses Kimi and Josh, and three grandchildren, all of whom live in Los Angeles. Since 1975, I have been in the private practice of Urology, Adult and Pediatric, with special interest in Male Infertility. Our experienced staff welcomes you to make sure you are comfortable and get the best care. Catherine has had 54 years experience in office and practice management. She is responsible for all computer functions and programming, insurance billing, and secretarial assistance to Dr. Stein. Caryl has been a medical assistant for 17 years specializing in Urodynamic testing. Corina has been in the medical field for 6 years. Jay J. Stein M.D., F.A.C.S. has been in the private practice of Urology, Adult and Pediatric since 1975. Dr. Stein and his staff welcome new and existing patients to their office conveniently located in the Cedars-Sinai Medical Office Towers. Dr. Stein is available 9:00 am - 5:00 pm, Monday through Friday. He is on call outside of his normal office hours. If Dr. Stein is unavailable, another on call urologist is available to tend to any urgent matters. You can call us at 310-652-8810 or at 8635 West Third Street, Suite 460W, Los Angeles, CA 90048. We accept most PPO insurance plans, private insurance and Medicare. We participate in Cedar Sinai's Medical Group. If you have any questions, please contact our office. "Dr. Stein is simply the best. Caring, thorough, patient, professional and the most knowledgable urologist I have ever met, and I have met far too many." "Someone you can really trust and have faith in. Kind, patient, smart, personable. I highly recommend him!" "He is the best urologist I've visited in the last 8 years, I think that pretty much says everything."